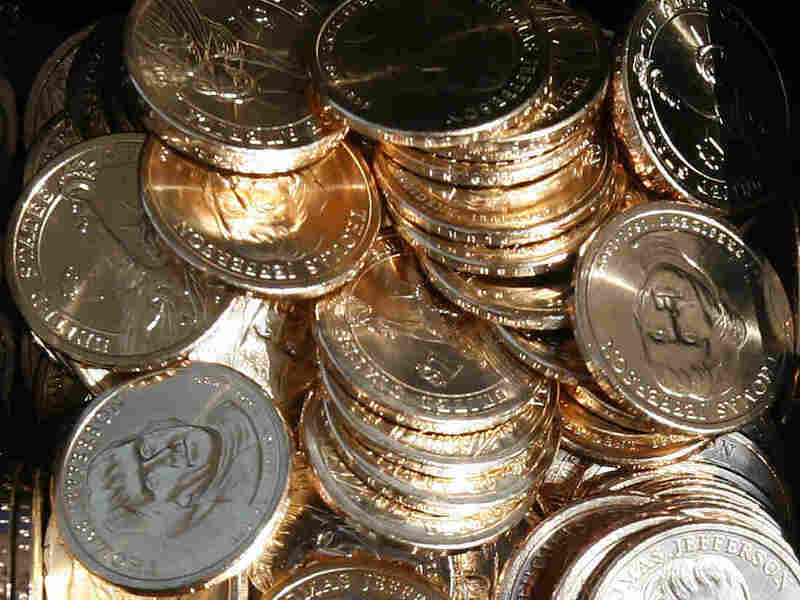 GAO Says Replacing Dollar Bills With Coins Could Cost Billions In a turnaround, congressional analysts are no longer recommending a phaseout of paper dollars in favor of a dollar coin. Paper money is lasting longer because of cashless transactions. A pile of newly minted $1 coins honoring former President Thomas Jefferson are unveiled by the U.S. Mint in Washington, D.C., in 2007. In a turnaround, congressional analysts are no longer recommending a phaseout of paper dollars in favor of a dollar coin.